Opening hours: Monday to Saturday: 09:00h to 17.00h/ 20:00h to 24.00h. Sunday: Closed. 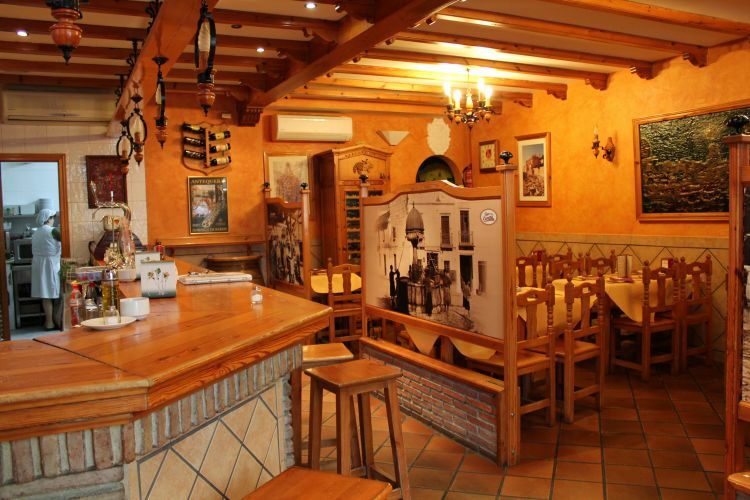 Bar Carrera opts for giving a great selection of homemade food in Antequera, with tapas at economical prices and with attentive and friendly staff. They have a dining room as well as an outside terrace eating area with capacity for 32. A wide range of tapas such as liver, calamari, seasoned ribs, chorizo in wine or tuna bites. Bar Carrera has in total over 70 dishes with true gastronomic delights such a tasty pork trotters, or one of the most popular Mediterranean dishes, tender pork cheeks.